Adelina Patti (10 February 1843 –27 September 1919)  was an Italian-French 19th-century opera singer, earning huge fees at the height of her career in the music capitals of Europe and America. She first sang in public as a child in 1851, and gave her last performance before an audience in 1914. 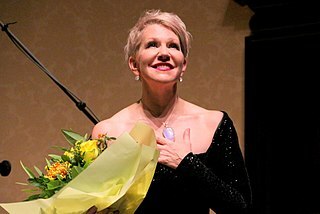 Along with her near contemporaries Jenny Lind and Thérèse Tietjens, Patti remains one of the most famous sopranos in history, owing to the purity and beauty of her lyrical voice and the unmatched quality of her bel canto technique. Johanna Maria "Jenny" Lind was a Swedish opera singer, often known as the "Swedish Nightingale". One of the most highly regarded singers of the 19th century, she performed in soprano roles in opera in Sweden and across Europe, and undertook an extraordinarily popular concert tour of the United States beginning in 1850. She was a member of the Royal Swedish Academy of Music from 1840. The composer Giuseppe Verdi, writing in 1877, described her as being perhaps the finest singer who had ever lived and a "stupendous artist". Verdi's admiration for Patti's talent was shared by numerous music critics and social commentators of her era. She was born Adelina Juana Maria Patti,  in Madrid, the last child of tenor Salvatore Patti (1800–1869) and soprano Caterina Barilli (died 1870). Her Italian parents were working in Madrid, Spain, at the time of her birth. Because her father came from Sicily, Patti was born a subject of the King of the Two Sicilies. She later carried a French passport, as her first two husbands were French. A soprano[soˈpraːno] is a type of classical female singing voice and has the highest vocal range of all voice types. The soprano's vocal range (using scientific pitch notation) is from approximately middle C (C4) = 261 Hz to "high A" (A5) =880 Hz in choral music, or to "soprano C" (C6, two octaves above middle C) =1046 Hz or higher in operatic music. In four-part chorale style harmony, the soprano takes the highest part, which usually encompasses the melody. The soprano voice type is generally divided into the coloratura, soubrette, lyric, spinto, and dramatic soprano. Carlotta Patti was a nineteenth-century operatic soprano and sister to famed soprano Adelina Patti. Various sources list her birth year as 1835, 1840, and 1842. Born into a musical family, Patti studied the piano in her youth before following her younger sister's inclination toward singing. As a child, Carlotta developed a handicap which caused a noticeable limp in her walk. Due to this condition she mostly avoided operatic performances and preferred to sing on the concert stage. While not able to achieve her sister's level of acclaim, Carlotta nonetheless received top billing in concerts in the United States of America, Great Britain, and Australia. She was known for her extensive vocal range, reportedly being able to reach a G sharp in altissimo. She often sang songs such as Der Hölle Rache kocht in meinem Herzen that highlighted this extensive range. Carlotta Patti died of cancer in Paris on 27 June 1889. Mary Euphemia "Effie" Germon was an American stage actress of the late 19th century from Augusta, Georgia, a descendant of the Germons of Baltimore who were an old theatrical family. She excelled as a soubrette. Wakefield is a working-class and middle-class section of the northern borough of the Bronx in New York City. It bounded by the city's border with Westchester County to the north, 222nd Street to the south, and the Bronx River, Bronx River Parkway, and Metro-North Railroad tracks to the west. Wakefield is the northernmost neighborhood in New York City. 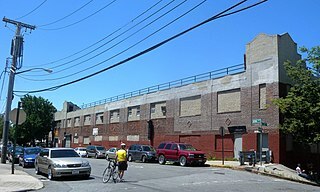 The neighborhood is part of Bronx Community District 12. The neighborhood's primary ZIP Code is 10466, but certain areas around East 241st Street and White Plains Road are part of 10470. Adelina Patti made her operatic debut at age 16 on 24 November 1859 in the title role of Donizetti's Lucia di Lammermoor at the Academy of Music, New York. On 24 August 1860, she and Emma Albani were soloists in the world premiere of Charles Wugk Sabatier's Cantata in Montreal which was performed in honour of the visit of the Prince of Wales. In 1861, at the age of 18, she was invited to Covent Garden, to execute the role of Amina in Bellini's La sonnambula . She had such remarkable success at Covent Garden that season, she bought a house in Clapham and, using London as a base, went on to conquer the European continent, performing Amina in Paris and Vienna in subsequent years with equal success. Domenico Gaetano Maria Donizetti was an Italian composer. Along with Gioachino Rossini and Vincenzo Bellini, Donizetti was a leading composer of the bel canto opera style during the first half of the nineteenth century. Donizetti's close association with the bel canto style was undoubtedly an influence on other composers such as Giuseppe Verdi. The Academy of Music was a New York City opera house, located on the northeast corner of East 14th Street and Irving Place in Manhattan. The 4,000-seat hall opened on October 2, 1854. The review in The New York Times declared it to be an acoustical "triumph", but "In every other aspect ... a decided failure," complaining about the architecture, interior design and the closeness of the seating; although a follow-up several days later relented a bit, saying that the theater "looked more cheerful, and in every way more effective" than it had on opening night. During an 1862 American tour, she sang John Howard Payne's Home, Sweet Home at the White House for the President of the United States, Abraham Lincoln, and his wife, Mary Lincoln. The Lincolns were mourning their son Willie, who had died of typhoid. Moved to tears, the Lincolns requested an encore of the song. Henceforth, it would become associated with Adelina Patti, and she performed it many times as a bonus item at the end of recitals and concerts. John Howard Payne was an American actor, poet, playwright, and author who had most of his theatrical career and success in London. He is today most remembered as the creator of "Home! Sweet Home! ", a song he wrote in 1822 that became widely popular in the United States, Great Britain, and the English-speaking world. After his return to the United States, Payne spent time with the Cherokee Indians. He published accounts that suggested their origin as one of the Ten Lost Tribes of ancient Israel. Abraham Lincoln was an American lawyer and politician who served as the 16th president of the United States from 1861 until his assassination in April 1865. Lincoln led the nation through the American Civil War, its bloodiest war and its greatest moral, constitutional, and political crisis. He preserved the Union, abolished slavery, strengthened the federal government, and modernized the U.S. economy. Patti's career was one of success after success. She sang not only in England and the United States, but also as far afield in mainland Europe as Russia, and in South America as well, inspiring audience frenzy and critical superlatives wherever she went. Her girlish good looks gave her an appealing stage presence, which added to her celebrity status. In 1869-1870 she engaged in tours through the Europe and Russia. Concerts in Moscow and Saint-Petersbourg were very successful and Patti repeats her Russian trips during the all '70s. In Russia she made some highly prolific frienships with the first persons of Russian aristocracy and first range musicians & artsmen such P. Tchaikovsky, A. Rubinstein, A. Serov and V. Stasov. In Petersbourg, during seasons 1874-75s, Patti meet Ernesto Nicolini (in future her second husband) at first time. At that time she also gets acquainted with prominent Russian historian Dmitry Ilovayski and with his family. This friendship was long for decades and Ilovaisky's with cousin even travel to Wales for meet the Adelina during the first half of 1880s. During the 1860s, Patti possessed a sweet, high-lying voice of birdlike purity and remarkable flexibility which was ideal for such parts as Zerlina, Lucia and Amina; but, as Verdi noted in 1878, her lower notes gained fullness and beauty when she grew older, enabling her to excel in weightier fare. Patti, however, turned into a conservative singer in the final phase of her operatic and concert career. She knew what suited her aging voice to perfection and she stuck to it. Typically, her recital programs during the 1890s featured an array of familiar, often sentimental, not-too-demanding popular tunes of the day, which were sure to appeal to her adoring fans. 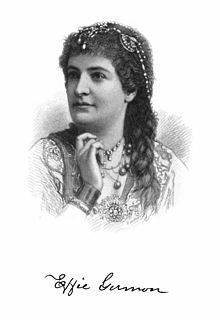 But during her mature prime in the 1870s and '80s, Patti had been a more enterprising singer, proving to be an effective actress in those lyric roles that required the summoning forth of deep emotions, such as Gilda in Rigoletto , Leonora in Il trovatore , the title part in Semiramide , Zerlina in Don Giovanni and Violetta in La traviata . She also had been prepared to tackle quite dramatic parts in operas like L'Africaine , Les Huguenots and even Aida . She never attempted to sing any verismo parts, however, because these became popular only in the twilight of her career, during the final decade of the 19th century. In her prime, Patti demanded to be paid $5000 a night, in gold, before the performance. Her contracts stipulated that her name be top-billed and printed larger than any other name in the cast. Her contracts also insisted that while she was "free to attend all rehearsals, she was not obligated to attend any". In his memoirs, the famous opera promoter "Colonel" Mapleson recalled Patti's stubborn personality and sharp business sense. She reportedly had a parrot whom she had trained to shriek, "CASH! CASH!" whenever Mapleson walked in the room. Patti enjoyed the trappings of fame and wealth but she was not profligate with her earnings, especially after losing a large proportion of her assets as a result of the break-up of her first marriage (see below). She invested wisely large sums of money and unlike some of her extravagant former colleagues, such as the star tenor Giovanni Mario, who died in poverty, she saw out her days amid luxurious surroundings. Patti caricatured by the French artist André Gill. In 1893, Patti created the title role of Gabriella in a now-forgotten opera by Emilio Pizzi at its world premiere in Boston. Patti had commissioned Pizzi to write the opera for her. Ten years later, she undertook one final singing tour of the United States; however, it turned out to be a critical, financial and personal failure, owing to the deterioration of her voice through age and wear and tear. From then on she restricted herself to the occasional concert here or there, or to private performances mounted at a little theater she had built in her impressive residence, Craig-y-Nos Castle in Wales. She last sang in public on 24 October 1914,  taking part in a Red Cross concert at London's Royal Albert Hall that had been organized to aid victims of World War I. She lived long enough to see the war end, dying in 1919 of natural causes. The first recordings of her voice were made ca. 1890 on phonograph cylinders for Thomas Marshall in New York. Neither the recorded title, nor their number are known. The recordings are lost. Patti cut more than 30 disc gramophone recordings of songs and operatic arias (some of them duplicates) — plus one spoken voice recording (a New Year's greeting to her third husband, which she intended him to keep as a memento) — at her Welsh home in 1905 and 1906 for the Gramophone & Typewriter Company. By then she was aged in her 60s, with her voice well past its prime after a busy operatic career stretching all the way back to 1859. Nonetheless, the limpid purity of her tone and the smoothness of her legato line remained uniquely impressive, compensating to some extent for the weakening of her breath control. The records also display a lively singing personality as well as a surprisingly strong chest voice and a mellow timbre. Her trill remains wonderfully fluent and accurate and her diction is excellent. Overall her discs have a charm and musicality that give us a hint of why, at her peak, she commanded $5,000 a night. Patti's recorded legacy included a number of songs and arias from the following operas: Le Nozze di Figaro , Don Giovanni , Faust , Martha , Norma , Mignon and La sonnambula . The records were produced by the Gramophone & Typewriter Company (the forerunner of EMI Records) and were issued in the United States by the Victor Talking Machine Company. Patti's piano accompanist, Landon Ronald, wrote thus of his first recording session with the diva, "When the little (gramophone) trumpet gave forth the beautiful tones, she went into ecstasies! She threw kisses into the trumpet and kept on saying, 'Ah! Mon Dieu! Maintenant je comprends pourquoi je suis Patti! Oh oui! Quelle voix! Quelle artiste! Je comprends tout!' [Ah! My Lord! Now I understand why I am Patti! Oh yes! What a voice! What an artist! I understand everything!] Her enthusiasm was so naïve and genuine that the fact that she was praising her own voice seemed to us all to be right and proper." Thirty-two Patti recordings were reissued on CD in 1998 by Marston Records (catalogue number 52011-2). Engaged as a minor to Henri de Lossy, Baron of Ville,  Patti wed three times: first, in 1868, to Henri de Roger de Cahusac, Marquess of Caux (1826–1889). The marriage soon collapsed; both had affairs and de Caux was granted a legal separation in 1877 and divorced in 1885. The union was dissolved with bitterness and cost her half her fortune. She then lived with the French tenor Ernesto Nicolini for many years until, following her divorce from Caux, she was able to marry him in 1886. That marriage lasted until his death and was seemingly happy, but Nicolini cut Patti out of his will, suggesting some tension in the last years. Patti's last marriage, in 1899, was to Baron Rolf Cederström (1870–1947), a priggish, but handsome, Swedish aristocrat many years her junior. The Baron severely curtailed Patti's social life. He cut down her domestic staff from 40 to 18, but gave her the devotion and flattery that she needed, becoming her sole legatee. After her death, he married a much younger woman. Their only daughter, Brita Yvonne Cederström (born 1924), ended up as Patti's sole heir. Patti had no children, but was close to her nieces and nephews. The two-time Tony Award-winning Broadway actress and singer Patti LuPone is a great-grand niece and namesake. Drummer Scott Devours is her 3rd great nephew. The Welsh opera singer Lisa Lee Dark is her 4th great-grand niece through her marriage to the French tenor Ernesto Nicolini. Patti developed a love for billiards and became a reputable player, making guest appearances at many major billiard events for exhibition matches and fancy shot displays. In her retirement, Patti, now officially Baroness Cederström, settled in the Swansea Valley in south Wales, where she purchased Craig-y-Nos Castle. There she had a $2000 billiard table installed, and her own private theatre, a miniature version of the one at Bayreuth,  and made her gramophone recordings. Patti also funded the substantial station building at Craig y Nos/Penwyllt on the Neath and Brecon Railway. In 1918, she presented the Winter Garden building from her Craig-y-Nos estate to the city of Swansea. It was re-erected and renamed the Patti Pavilion. She died at Craig-y-Nos and eight months later was buried at the Père Lachaise Cemetery in Paris to be close to her Father and favourite composer Rossini in accordance with the wishes in her will. Patti and third husband baron Cederström outside the central station in Stockholm in 1900. Patti, uncomfortable with being photographed, bends over in order to hide her face. Et Thérésa dans le Sapeur"
The song "The Deadwood Stage (Whip-Crack-Away!)" featured in both Calamity Jane film and Calamity Jane stage musical mentions a hat that Patti wore as part of the contents for sale in the stagecoach's offerings. In the 1890s, African-American singer Sissieretta Jones adopted the stage name "Black Patti," and called her company "Black Patti's Troubadours." ↑ John Frederick Cone; William R. Moran (November 1993). Adelina Patti: queen of hearts. Amadeus Press. p. 129. ISBN 978-0-931340-60-4 . Retrieved 22 September 2013. ↑ Karl Formes (1888). Aus meinem Kunst- und Bühnenleben: Erinnerungen des Bassisten Karl Formes. Bearbeitet von Wilh. Koch. Gehly. Retrieved 22 September 2013. ↑ "Metropolitan Gossip – The King and Queen at a Patriotic Concert", The Grantham Journal, Saturday 31 October 1914, page 5. ↑ Discography compiled by W. R. Moran and appears in the appendix to Klein's Reign of Patti referenced above. ↑ George Putnam Upton (1908). Musical Memories: My Recollections of Celebrities of the Half Century, 1850–1900 ... With Numerous Illustrations. Chicago. p. 40. Retrieved 22 September 2013. ↑ John Davies; Nigel Jenkins; Menna Baines (2008). The Welsh Academy encyclopaedia of Wales. University of Wales Press. ISBN 978-0-7083-1953-6 . Retrieved 22 September 2013. 1 2 "Adelina Patti – Encyclopédie Larousse"
↑ Rodolfo Celletti (2010). Adelina Patti, The Voice of An Angel. p. 450. Christina Nilsson, Countess de Casa Miranda, was a Swedish operatic soprano. She possessed a bel canto technique and was considered a rival to the Victorian era's most famous diva, Adelina Patti. Nilsson became a member of the Royal Swedish Academy of Music in 1869. Dame Nellie Melba GBE was an Australian operatic soprano. She became one of the most famous singers of the late Victorian era and the early 20th century, and was the first Australian to achieve international recognition as a classical musician. She took the pseudonym "Melba" from Melbourne, her home town. María de Montserrat Viviana Concepción Caballé i FolchOIC OAXS OMFRG LH OMIR was a Spanish operatic soprano. She sang a wide variety of roles, but is best known as an exponent of the works of Verdi and of the bel canto repertoire, notably the works of Rossini, Bellini, and Donizetti. She was noticed internationally when she stepped in for a performance of Donizetti's Lucrezia Borgia at Carnegie Hall in 1965, and then appeared at leading opera houses. Her voice was described as pure but powerful, with superb control of vocal shadings and exquisite pianissimo. Annie Louise Cary was an American singer. Emma Calvé, born Rosa Emma Calvet, was a French operatic soprano. Craig-y-nos Castle, is a Victorian-Gothic country house in Powys, Wales, United Kingdom. Built on parkland beside the River Tawe in the upper Swansea Valley, it is located on the southeastern edge of the Black Mountain. The castle, formerly owned by opera singer Adelina Patti, is now a boutique hotel, catering, conferencing and entertainment venue. Adjoining the castle are its landscaped grounds which now serve as a country park, managed separately by the Brecon Beacons National Park Authority. The Opera School Wales is a postgraduate training school for operatic performers. The school is based in Craig-y-Nos, south Powys, Wales. Ernesto Nicolini was a French operatic tenor, particularly associated with the French and Italian repertories. Evelyn Scotney was an Australian coloratura soprano of great renown in the period from 1913 to the late 1920s. Her range extended to E in altissimo. In her time she was considered by some to be the world's greatest soprano. She was compared very favourably with Amelita Galli-Curci, Luisa Tetrazzini and others. Her recording of "Caro nome" from Verdi's Rigoletto was described by a critic as "one of the best soprano records in existence", and her recording of The Blue Danube and other Strauss vocal waltzes was described as "absolutely perfect coloratura singing". She appears in The Record of Singing. Sigrid Arnoldson was a Swedish opera singer with an active international career at the end of the 19th century and into the 20th. Possessing a fine coloratura soprano voice with a range of three octaves, music critics believed she was Jenny Lind's successor and dubbed her "the new Swedish Nightingale". Her voice is preserved on several recordings made in Berlin for the Gramophone Company between 1906 and 1910. Francesco Mottino was an Italian opera singer, voice teacher, drama teacher, librettist, and writer. He had a prolific international opera career from the 1850s through the 1870s. After retiring from the stage, he worked actively as a writer and teacher in his native country. Pasquale Brignoli was an Italian-born American tenor. Bessie Jones was a Welsh singer featured on some of the earliest recordings of songs from London musicals. Jones began a professional opera career soon after training at the Royal College of Music. From 1913 to 1926, she was a contract singer for HMV studios, recording numerous popular songs, Welsh folksongs and musical theatre songs, and appearing on recordings of the Gilbert and Sullivan operas and several other works. She also had an oratorio and concert career and sang in BBC radio broadcasts. John Frederick Cone; William R. Moran (November 1993). Adelina Patti: queen of hearts. Amadeus Press. ISBN 978-0-931340-60-4 . Retrieved 22 September 2013. Herman Klein (1 June 2008). The Reign of Patti (1920). Kessinger Publishing. ISBN 978-1-4365-7176-0 . Retrieved 22 September 2013. Mapleson, James Henry (1966). Harold Rosenthal, ed. The Mapleson Memoirs; The Career of an Operatic Impresario, 1858-1888. New York: Appleton-Century. ISBN 0-370-00080-3. Michael Scott (1977). The Record of Singing. Duckworth. ISBN 978-0-7156-1030-5 . Retrieved 22 September 2013. Stanley Sadie, ed. (1997). The New Grove Dictionary of Opera. New York, New York: Macmillan Reference Limited. p. 918. ISBN 0-333-73432-7. Wikimedia Commons has media related to Adelina Patti . Patti sings at the Cincinnati Opera Festival 1882 attended by Oscar Wilde. 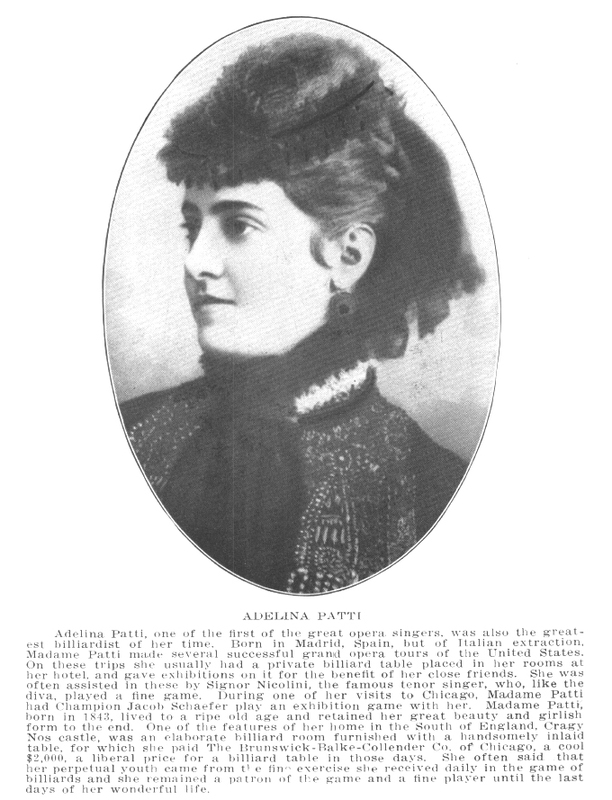 Adelina Patti as Juliet (1878) [ permanent dead link ], one of many Patti-related documents housed in the Alfredo Barili Papers at the Georgia Archives.